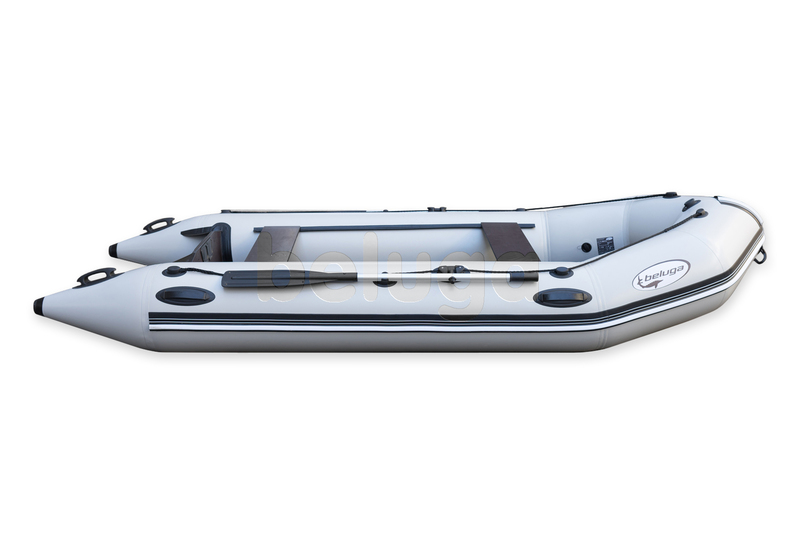 Beluga 12 ft. Light Gray Inflatable Boat is the biggest model of C class. It has the length of 11’10” meters and the width of 5’2”. In combination with the tube diameter of 1’5” and carrying capacity of 882 lb. 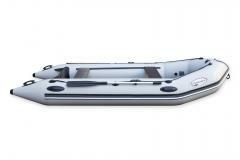 this features provide the ability to carry up to 5 person of total weight 400 kg. 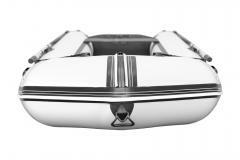 Light gray color of the boat provides some decorative attraction. At the same time, this feature is the important advantage for hunting at foggy weather when the boat is almost invisible. 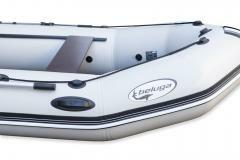 Beluga 12 ft. Light Gray Inflatable Boat is equipped with the whole range of C class boats' tools and accessories. 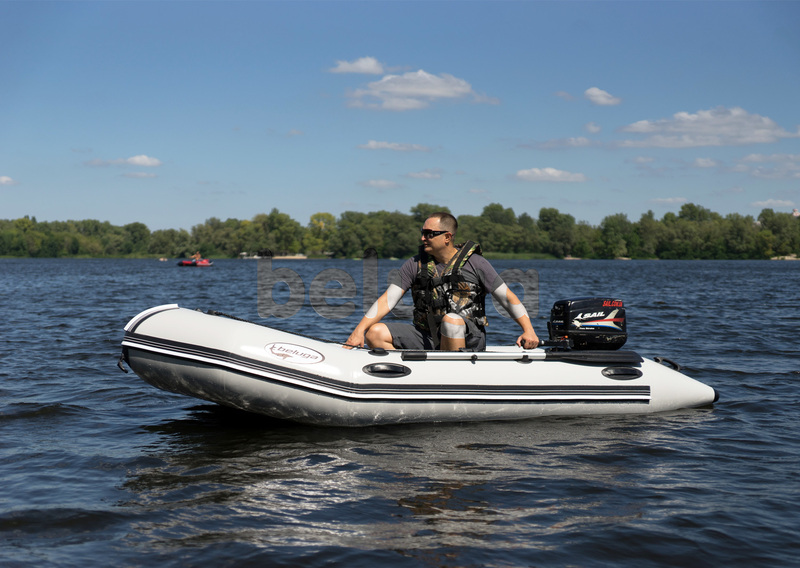 Protective bumper, towing bracket, safety rope, and other parts of the main equipment are complimented with under seat locker and soft pad, which make the model use more comfortable and convenient. 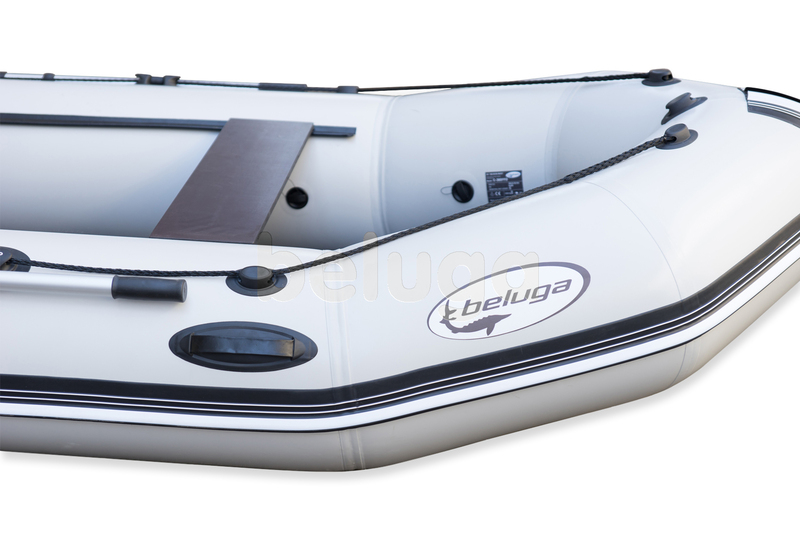 Be ready for exciting journeys with the biggest Beluga C class inflatable boat. Buy it right now, pay the lowest price, and get free shipping to any country of the world! I waited long time for spring. 3 months of winter passed. It was very cold and I could not flow down the river because it froze. But finally the spring came, and we can open a new season. 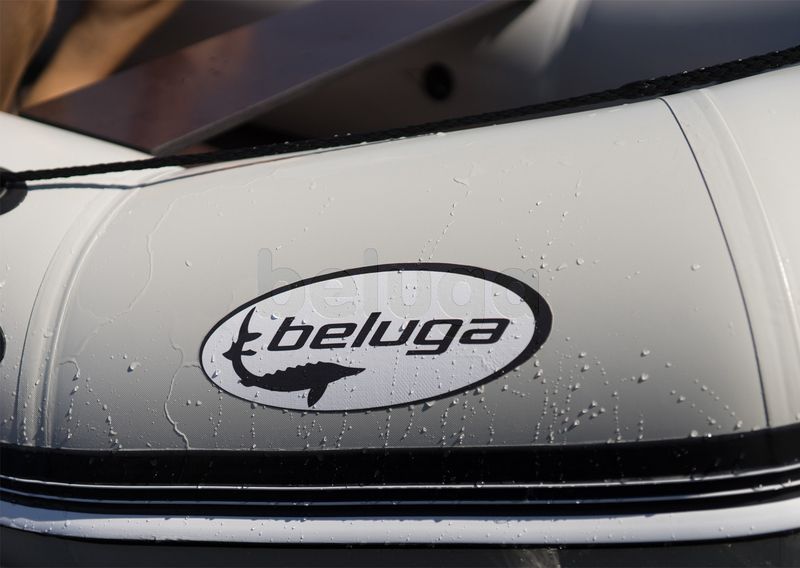 For these purposes we use our favourite boat of 12 ft. from Beluga. 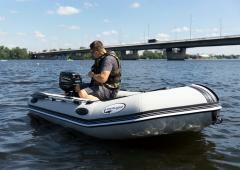 It is comfortable, capacious and very maneuverable. I come back friends! 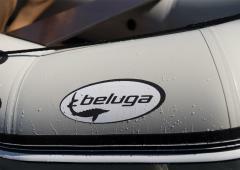 Last summer I took a part in competitions by this boat. 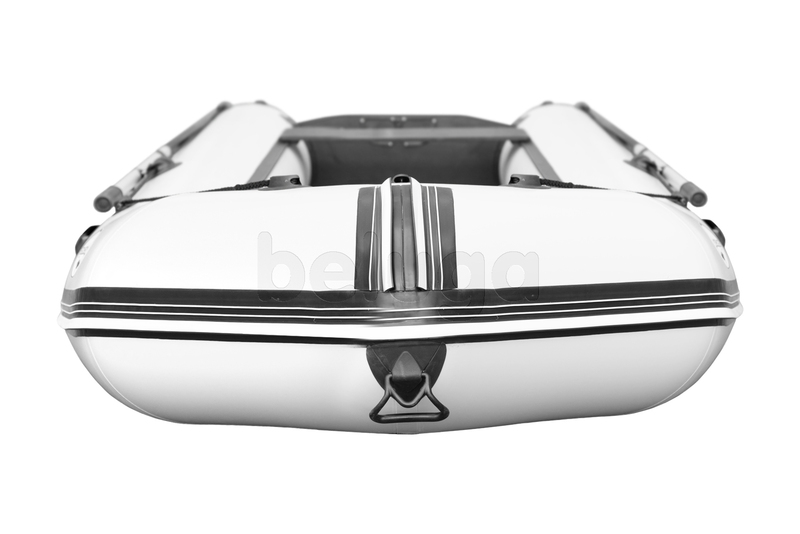 It is very fast boat. And it perfectly is suitable for sport. I won first place. For all my big family. I have a big family: Me, my wife, son and two little daughters twins. The son is 12 years old, and both daughters 7. And here, we have bought this boat for all our family. It's perfectly suitable for all of us. We like to float down the river and there to organize a picnic. Excellent boat. I am very happy. Well of course lightning quicker than the boat. But this boat, it is fast as a rocket, as the torpedo, as a lightning. It is very fast. 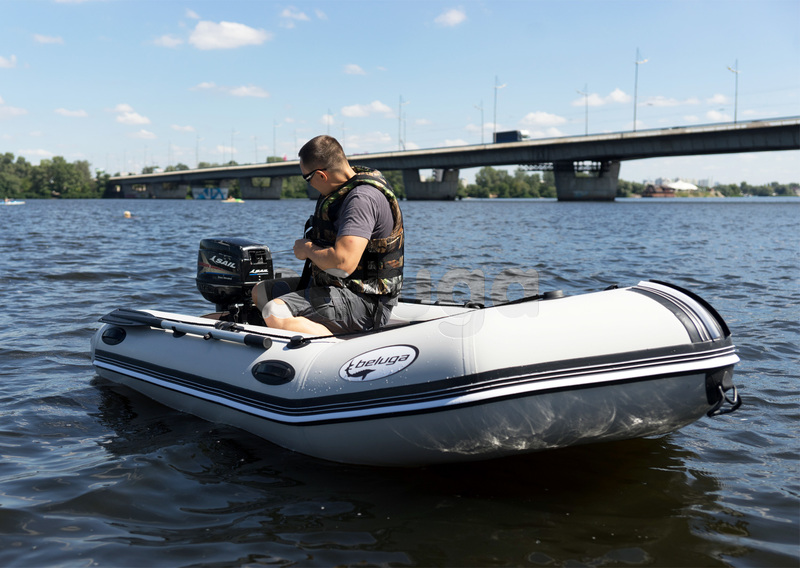 Yes I know that it is very important, to install the suitable motor, but the floating and high-speed characteristics of the boat are excellent. I am very happy with the speed and controllability. Now I float between the cities only by the boat. That's the biggest boat of this series of white color. The boat has three hermetic chambers and can carry five people. And it just that it is necessary for me. I have bought last month. Yesterday it's come. I have tried one, I am very happy. Tomorrow we will go to ride with friends all together down the river.